Used in the office or at home on the kitchen fridge (so long as it is metallic!) 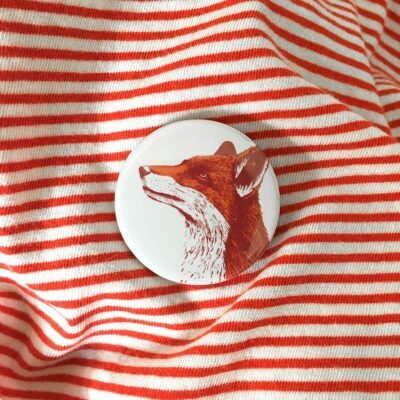 our animal magnets featuring the Britain’s fancy fox will do a fine job of holding up those all important messages, holiday snaps, recipes, party invitations…we could go on! Made in the UK, each round magnet measures 3.7cm in diameter and come in packs of 4. 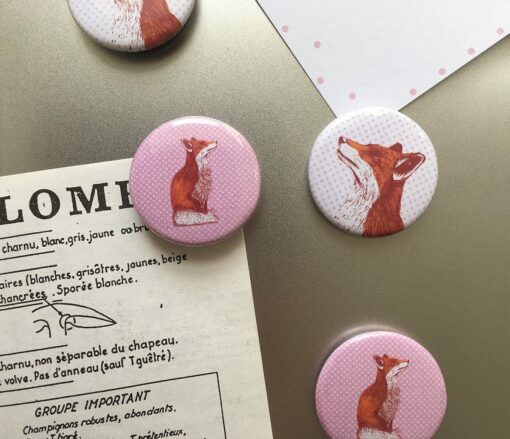 Our fox magnet pack contains 2 magnets showing a close up of the gazing fox on a pink star patterned background whilst the other 2 magnets are pink and show the fox’s entire body.